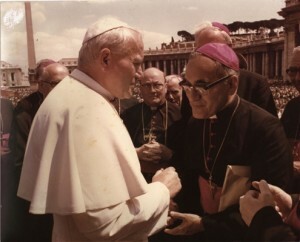 Cardinal Vincent Nichols has spoken of the hatred of faith which saw Archbishop Oscar Romero martyred in 1980. In a homily, delivered yesterday at an ecumenical service for Archbishop Oscar Romero at St Martin in the Fields in London, Cardinal Nichols said that on 23 May in the city of San Salvador, Oscar Romero will be declared ‘Blessed’, a martyr for the faith of the Church, faith in Jesus Christ. 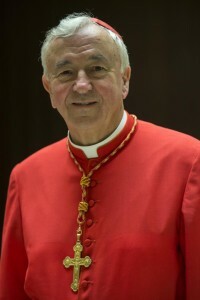 “This love, in which we place our trusting faith, is the source of the true dignity of every human being, from the first moment of their conception to their natural death,” the Cardinal said. 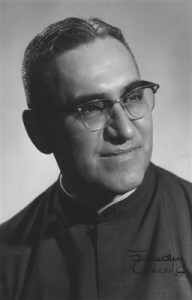 Oscar Romero was assassinated in El Salvador in 1980. Cardinal Nichols said it was significant that he died at the altar “where his heart was always centred”. He also died in the vestments of a priest which hide the self and make visible “only his ministry in Christ,” Cardinal Nichols commented and added that this was what was most precious about Oscar Romero. The Cardinal called for the cries of the poor in every part of the world to be central to prayer. “If we truly want to imitate Oscar Romero and truly follow his example, then we too, every day, must make the cries of the poor in every part of the world central to our prayer. This is the most radical action we can take, the most profound response we can make to poverty in our midst,” he said. He quoted Archbishop Romero who spoke of poverty not being simply a material thing or having nothing, rather poverty awakens consciousness, and accepts the cross and sacrifice because it is God’s will. “Therefore we become holy according to the degree to which we make poverty part of our spirituality, and to the degree in which we hand ourselves over to the Lord and show our openness to God,” Archbishop Romero said in a homily on 17 February 1980. The service in London was attended by representatives from the Embassy of El Salvador, Churches, and aid agencies, some of their members were present in El Salvador when Archbishop Romero was assassinated. The service is part of a week of events organised by the Archbishop Romero Trust taking place across Britain from March 21-27.